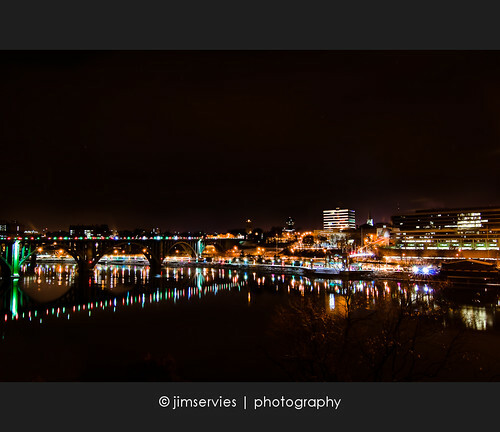 Reflections | Knoxville Riverside, originally uploaded by jimservies | photography. One of my all time favorite photographs. To download as a desktop background just go to my photostream on Flickr and select “All Sizes” (top of photo). Hope you enjoy the photo and the funny story that accompanies it.